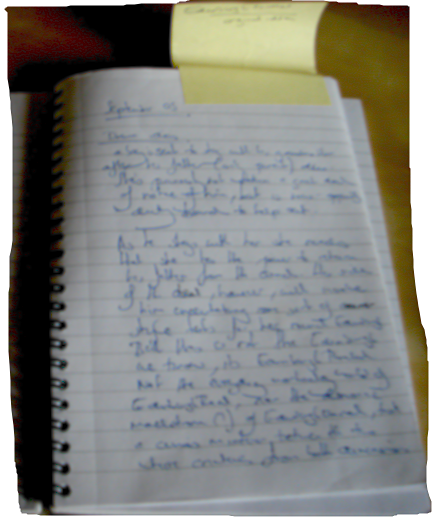 Ideas seem to hang around… Lately I’ve been going back over old scribbles and fragments, and I’ve found the very first notes I took for The Daemon Parallel, way back in September 2005. It was all very vivid. When I woke up, I started to ask questions. Why was the landscape all mixed-up? Midway between the ordinary world, and the world of monsters, there could be another place where the two mingled… Why was the boy living with this old woman? His mum had left him, his dad had died. He was all alone… Why would he stick with her, if she was so cold? She’d offered him something he couldn’t refuse, the one thing he wanted more than anything else in the world… She’d offered to bring his Dad back from the dead! (Could I really write that? Could I get away with it? Could I make it work?). By the time I picked up my notepad, I had the beginning – and end! – of my story. None of my characters had names, and some major players had yet to be devised, but I knew my main character’s journey. Reading back over those four-and-a-bit pages, I’m amazed to see pretty much everything I jotted down made it into the final novel. But I didn’t start writing immediately! I don’t know why. Perhaps it was fear I wouldn’t get the story right. Perhaps it just needed to sit around a bit, to fester and mature… Looking through my files, I see I had a first go that October. I got a little further; I found out what the boy’s father did, and how he’d disappeared. But the setup seemed to drag, and the Granny figure came out too arch – a cross between Endora in 60s sitcom Bewitched and a flamboyant English teacher I’d once had – extraordinary, but not very spooky. The story went back in the drawer. offered to return Cameron’s father from the dead. …and the first chapter seemed to flow straight on out! It would take a few more years, and a good few drafts, till I had the version I’d eventually send to a publisher. But the story was ready to be told. Now I’m working on new novel ideas, and I’m suddenly wondering: perhaps the story I really need to tell is lurking in an old notebook. Perhaps it’s already there, waiting to be discovered. And the ideas that scare me – the things that I think I can’t make work – they’re probably the ones to concentrate on. What do you think? How do your story ideas arrive? Do you write them up straight away, or do you leave them in the dark for a while, till they’re ready? Leave me a comment, and let me know! I’m not the world’s fastest blogger. A lot has happened since my last post back in August. 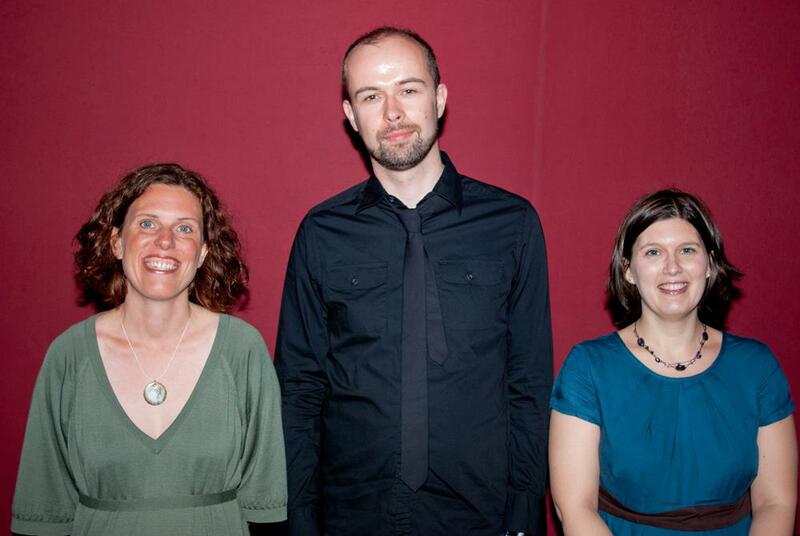 Most significantly, my novel was picked up for publication by Floris! …and there he was. One of main characters – I’d tell you his name, but that’d be a SPOILER! – green eyes blazing, teeth barred, biker jacket flapping as he pounded up a steep and greasy set of steps from MORE SPOILERS! straight towards me. I think I stared at that picture all the way home on the bus. 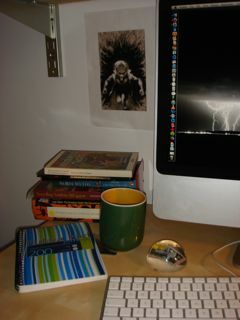 Even now he’s tacked-up over my desk, glaring at me and challenging me to get on and write… I’m still a little amazed. Something that started out in my head now had a life of its own.